I Challenge You to Play...... CACHEBUSTERS! GC2JQNW I Challenge You to Play...... CACHEBUSTERS! 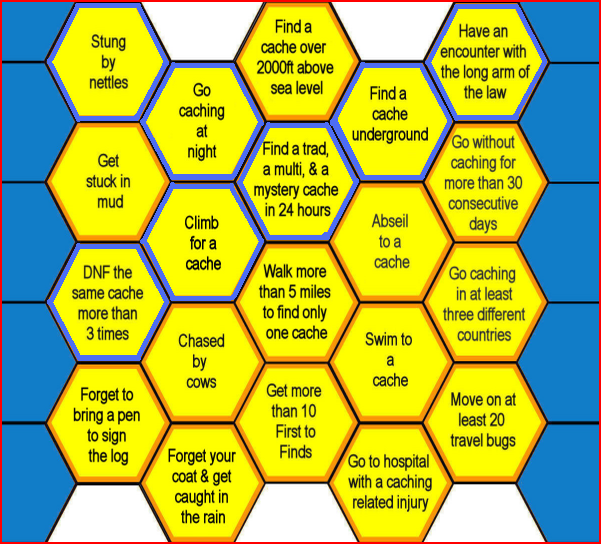 Complete a line across the CacheBusters grid from left to right, with finds starting from when you sign up for the challenge. I signed up on 17-Aug-2012.